The model in question is the EOS-1V, which, incidentally, the company actually stopped making a full eight years ago. Since it has simply been selling out the rest of its stock, which, it seems, has finally depleted. It’s less of a bang than a prolonged whimper, but it’s the end of an era, nonetheless, marking the first time Canon hasn’t offered a film camera since the 30s. Mark this date on your calendar. It’s the end of yet another tech era. Though, granted, this one’s been been death rattling for nearly a decade now. Canon this week announced with no fanfare that it’s sold its last film camera. The news was spotted by PetaPixel on the camera giant’s Japanese support forum. Those who are feeling suddenly nostalgic, you can likely pick one up used fairly easily (though this news might bump up their premium a bit), and I’m sure the inevitable Kickstarter project to revive the technology can’t be too far off, because that’s how these things go now. And, of course, some other brands are still supporting film in one form or other, including, notably, Nikon. 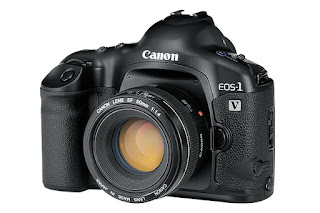 As for Canon, the company has promised to continue to offer repair on the EOS-1V until October 31st 2025, though that could end as early as 2020 for some, if parts and inventory run out sooner.